You will Watch G.I. Joe: A Real American Hero Season 1 Episode 42 online for free episodes with HQ / high quality. Stream cartoons G.I. 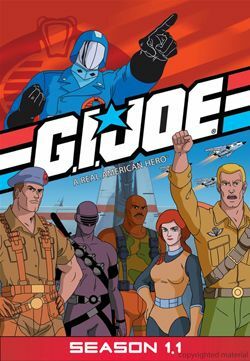 Joe: A Real American Hero Season 1 Episode 42 Primordial Plot Cobra steals dinosaur bones and kidnaps a biologist to have him recreate the dinosaurs in a cloning device with rapid growth serum in order to destroy G.I. Joe and rule the world.